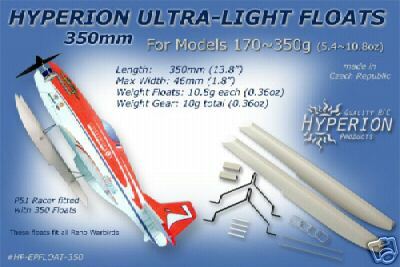 Before buying or building a set of floats it's critical that you choose an airplane that's suited for water. And what's more important is sizing and installing your floats correctly. Go ahead and take a gander at RC float plane fundamentals, them come on back here and we'll get you set up with a good set of RC floats. Why do Floats Have a Step? Unlike conventional airplane wheels, there is actually suction between airplane floats and the water. The lift of the wings has to overcome this suction in addition to the weight of the plane in order to lift off. You’ll notice that just about all airplane floats are larger in the front with a 90 degree step up to a thinner portion in the rear. When the airplane gets up to speed the floats will rise up out of the water and only a small portion of the float directly front of the step will be touching the water. 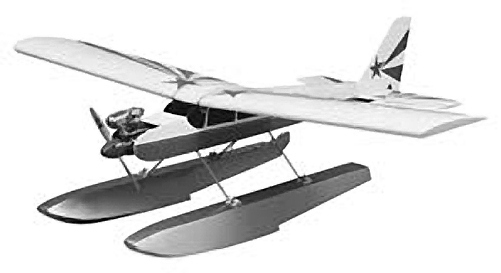 The stepped design of an airplane float minimizes the suction and drag from the water. There are basically three different types of floats to choose from. You can buy hollow ABS plastic floats. 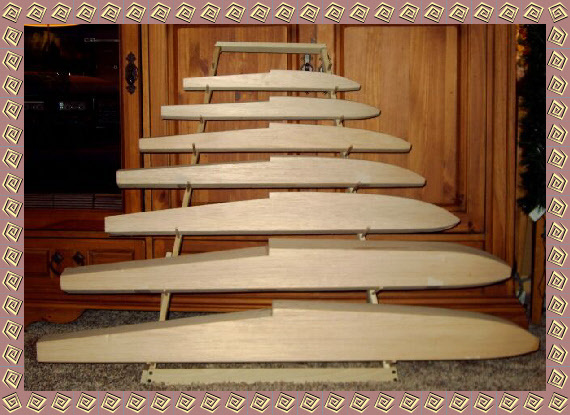 You can build and cover a hollow set of floats from balsa wood. Or, and arguably the most popular option, is to build or buy a set of foam core floats. 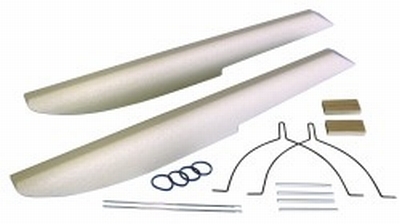 What's good about plastic floats is that they're quick and easy to assembly and install. Often times, these floats are designed by the manufacture to be used with a specif airplane which takes a lot of the guess work out of it. The bad thing about hollow plastic floats is that they easily fill with water when even the tiniest hole develops. Not only does this add weight to the airplane, the what inside sloshing back and forth causes some serious balance problems! There's nothing wrong with a good pair of plastic floats as long as you're diligent about checking for any trapped water before taking off. Balsa wood RC floats are built in much the same way as you would build an rc airplane. You buy a kit and frame it up and cover it with your favorite covering. Since balsa floats are also hollow they can retain water just like plastic floats. If you go this route be sure to spend the extra time to do a really good job covering and sealing the covering to keep the water out. 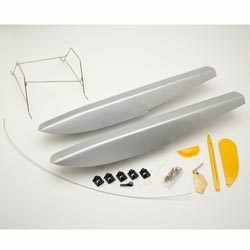 These type of RC airplane floats are made from foam and covered with thin sheet of balsa. You can finish them off to like nice with final layer of standard covering such as Monokote, or you can go the extra mile by fiber glassing it. They can take a beating, especially if they're glassed! 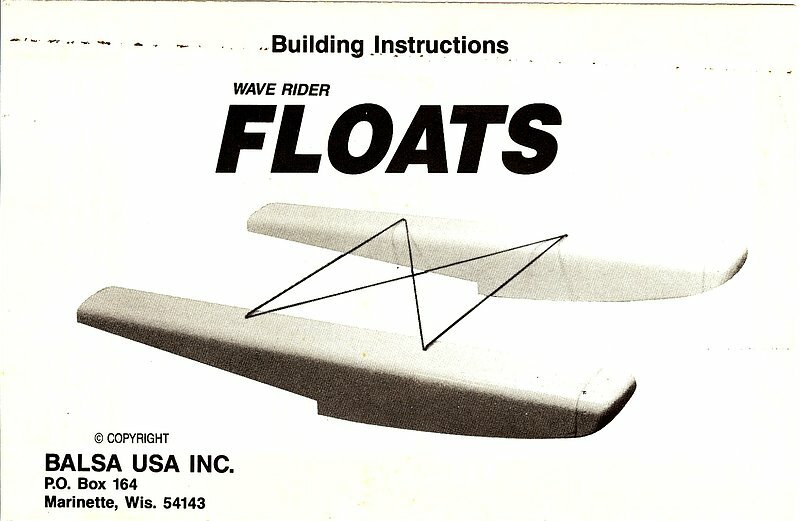 Jim Spencer's article on RC airplane Floats does an excellent job of stepping you through the process of building your own foam core floats. Slocan Floats are another great choice, especially for my Canadian friends. 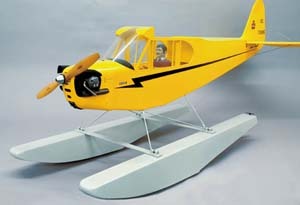 Before choosing the type of RC floats you want, you'll need to determine what size floats will work with your airplane. After you get them mounted to your plane, the real fun starts! >> Learn more about RC Float planes!